There is something magical about sidewalk chalk littering the pavement. It’s as though I’m being given a glimpse into a world so alive and vivid for a child that they have no reservations about sharing it with others because it’s so real they can’t help but share it’s beauty. And before I could even think of writing up invitations to a pity party, I came across a child’s art on the pavement and immediately got swept away in it. 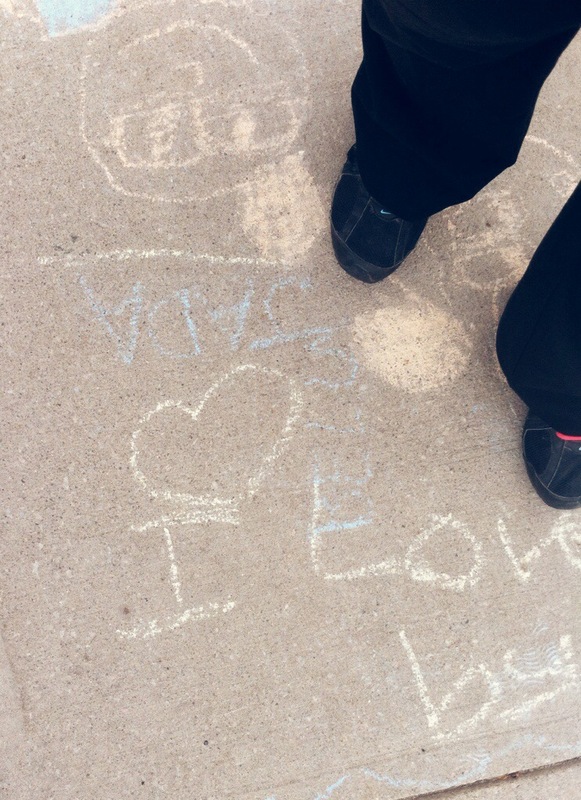 It stretched across the sidewalk by several feet and towards the end of all the scribbles, I saw a heart and knew. Because bad days don’t mean a bad life and somewhere, someone is dreaming of the very opportunities momentarily keeping me from sleep.